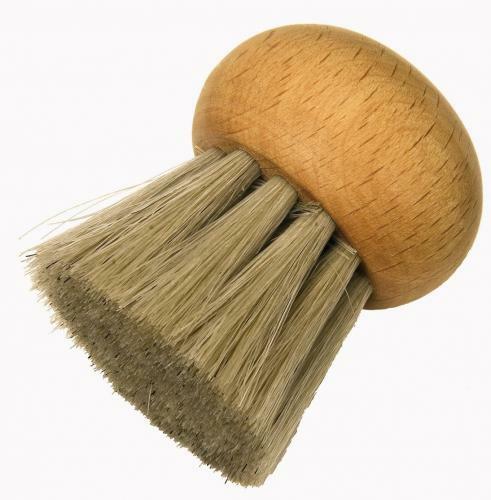 MUSHROOM BRUSH - This Mushroom brush is made from light horse hair and oiled beechwood. Mushrooms washed under water lose taste as well as valuable nutirents. It's better to remove sand or soil with a brush without water.